Congratulations on a successful Transcribathon! That sounds like fun. 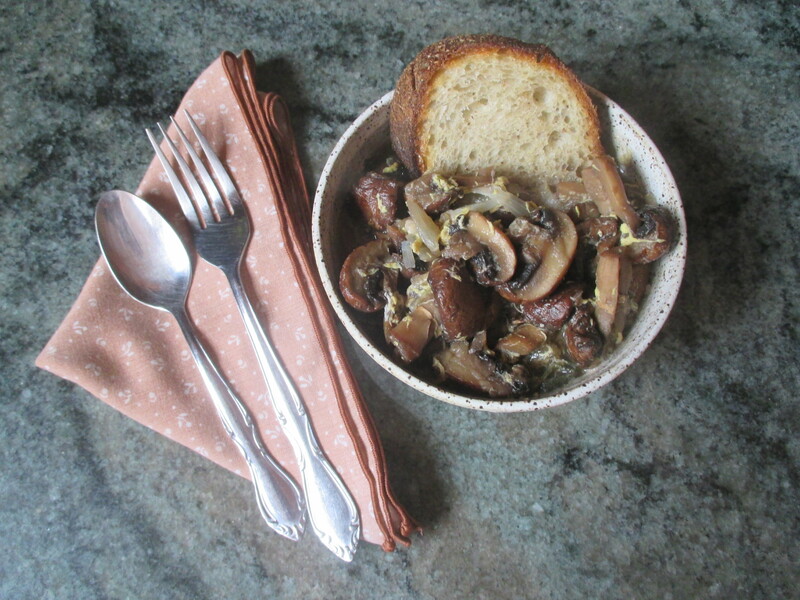 I like this recipe, anything with mushrooms sounds good to me. I’m wondering how could the egg yolks not turn into scrambled pieces? Even if you tempered them slowly, the hot broth would cook them once they are added to the pot, right? Maybe I should try it out and see. A question about the text: why does she say to use a pewter dish? Is that for a certain reason, or is pewter just what they cooked with back then? Thank you! Ideally, the warm broth would thicken with that yolk, but not create a scrambled texture. Pewter cooking dishes were very common, but I’m not sure why it’s specified here. Want the lemon wafer recipe! Please. Thank you! Fun reading. Those different-colored candy wafers seem the correct analogy for the recipe.